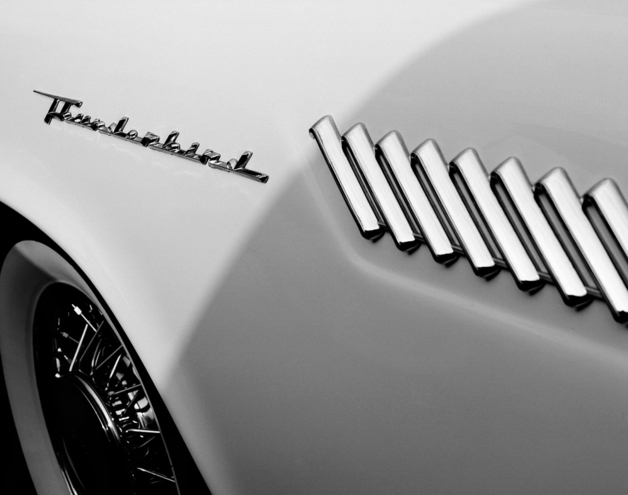 Close up on the side name plate of this '56 or '57 Thunderbird Convertible. Shot at the Newtown Car Show, Sept. 2016. Taken with my Pentax 6x7 camera using Fuji Acros film.